Given the fast growing interest in emerging economies, this chapter introduces an innovative network marketing framework in the United States represented by the MarketMaker™ program. For almost 10 years, the MarketMaker™ program successfully designed, planned, and implemented mixed strategies of inter-organizational network marketing, inter-market marketing, and opportunity marketing to encourage and improve communications between buyers, sellers, public sectors, government organizations, and educational institutions. MarketMaker™ has revolutionized the internet system by offering network participants the opportunity to exchange information, create knowledge, and provide services across time and geological boundaries, thus generating values and benefits for all. The perspective and structure of MarketMaker™ is applicable to emerging economies when Internet is available, when individuals and organizations are willing and able to adopt the concept of e-commerce, and when taking into consideration culture and heritage differences. Emerging economies have gained a growing prominent position in the world economy since 2000. According to a press release by UNCTAD (2003), emerging economies received significant amounts of the Foreign Direct Investment (FDI) inflows and also accounted for 12 percent of the world’s FDI outflows, which grew from $65 billion in 1980 to $849 billion in 2002. Marketing is a critical and challenging instrument for enterprises (for profit, non-profit, and government/community-based agencies) in emerging economies facing globalized competition. Many researchers have identified and presented compelling evidence of a new economy in the 21st century that is and will continue to be driven by information, knowledge, opportunities, and technology (Shapiro & Varian, 1999; Benkler, 2006; Achrol, 1991; Achrol, 1997; Achrol & Kotler, 1999; Stiroh, 1999). Over the years, emerging economies have attracted many international corporations such as Uniliver, Colgate, Palmolive, and Kellogg to invest in mass underdeveloped markets (Dawer & Chattopadhyay, 2002). Multinational enterprises often prefer to transfer formula marketing strategies in a globalized environment, which sometimes fail to meet localized need in emerging economies. On the other hand, local enterprises in emerging economies seem to better utilize their social closeness and cultural advantages to develop and grow stronger relationships with local customers (Sabine, 2005). 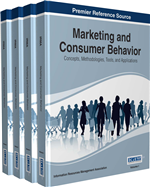 While many existing theories and practices of marketing emphasize the exchange of goods and services, Sheth and Parvatiyar (2000, p.140) suggested that “an alternative paradigm of marketing is needed, a paradigm that can account for the continuous nature of relationships among marketing actors.” Burgess and Steenkamp (2006) also noted that most of our knowledge of marketing science and practice has been derived from research conducted in high income, industrialized countries; and it would be essential to conduct more research in emerging economies for the future of marketing science and practice. This chapter introduces an innovative network-oriented marketing strategy that has been designed, created, and successfully implemented in the United States since 2004 – MarketMaker™ (http://national.marketmaker.uiuc.edu/). Established in the state of Illinois, the MarketMaker™ program started as an online marketing resource to give small farmers in rural areas greater access to regional markets by linking them with processors, wholesalers, retailers, individual consumers, government agencies, service providers, and other food supply chain participants. The project was initially funded by the Illinois Department of Agriculture, the University of Illinois Extension, and the Illinois Council on Food and Agricultural Research (C-FAR). Since 2004, the MarketMaker™ program has grown into a national network which focuses on creating partnerships and relationships between Land Grant Institutions, the Department of Agriculture, producers, and buyers at state, regional, and national levels that will enhance and improve the financial situation and wellbeing for all agricultural and non-agricultural participants. Rural enterprises in the United States face tremendous pressure to connect with consumers, just like their counterparts in emerging economies (Coit, 2009). Traditional commercial distribution channels may be less convenient and less profitable for many micro enterprises in rural areas, due to lack of access to a feasible retail hub (Jervell & Borgen, 2004). Many studies have shown shifts in consumer demand in the United States from traditional picked-for-transit products in supermarket chains to local, fresh, delicate, specialty products (Stefani, Romano, & Cavicchi, 2006; Roth, 1999; Gale, 1997). A new trend has emerged between farmers and other public/private organizations and between farmers themselves to form strategic alliances to develop innovative and integrated marketing strategies (Sporleder, 2006; Jervell & Borgen, 2004; Roth, 1999; Hinrichs, 2000). The existence of MarketMaker™ relies on support from agricultural producers, non-agricultural producers, and their alliances who have been struggling to sustain and improve farm viability and working landscape in rural communities.